Peacebuilding vocations, just like careers in science, business or technology, are built upon foundations of knowledge and skills that are pursued through lifelong learning. While numerous universities are now offerings degree programs in peace related fields, opportunities to gain skills and knowledge in peacebuilding remain relatively inaccessible and expensive. The NPA, through partnerships with expert and experienced peacebuilders, is working hard to make learning for peace and change accessible, available and affordable to all. The National Peace Academy is a non-profit educational organization that seeks to address today’s unique social, political, and ecological challenges by preparing individuals and institutions with knowledge and skills to take actions to make our world a better, more peaceful place. The National Peace Academy is a principle-based, learning institution that strives to embody and reflect the principles and processes of peace as it supports, advances, and nurtures cultures of peace through conducting and engaging in the promotion of peace education, peace research, peace practice, and peace policy. 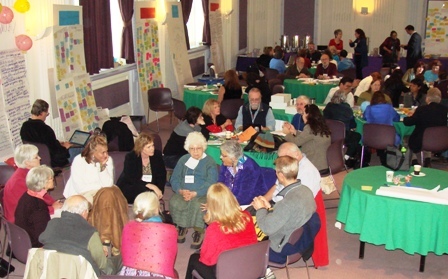 Toward realization of that Vision, the National Peace Academy supports, advances, and nurtures cultures of peace through peacelearning toward the development of the full spectrum of the peacebuilder in everyone – inner and outer, personal and professional; and the development of peace systems – local to global. To achieve that Purpose, our Mission is to provide, catalyze, and make accessible holistic and integrative learning and research for peace, and to elevate in the public consciousness the meaning and value of peacebuilding and everyone’s role in it. Principle-based. In everything it does, the National Peace Academy strives to embody and reflect the principles and processes of peace, both internally and externally. Comprehensive. National Peace Academy education programs are transdisciplinary in scope and integrate, inform, and are informed by peacelearning, peace education, peace research, peace practice, and peace policy. Collaborative. The National Peace Academy works through and with existing and emerging institutions and programs in government, business, and civil society. U.S.-focused. The National Peace Academy orients its programs nationally while networking globally. NPA works with individuals and institutions that are interested in working for peace, healthy communities, environmental sustainability, economic development, democracy, effective citizenry, gender justice, interfaith understanding, inner peace, multicultural and international understanding, non-violence and human rights. Our students include business leaders, community organizers, formal and non-formal educators, health professionals, government workers, aid and development workers, faith leaders, college students, and activists (just to name a few!). The National Peace Academy “campus” can be found around the country and in cyberspace. NPA’s in-person courses are offered in partnership with leading peacebuilding institutions across the United States. In the USA, the dream of a National Peace Academy dates back to our Founding Fathers. Indeed, its roots go deep, to the 12th century Great Law of Peace of the Iroquois Confederacy. There has been a consistent call, in government and civil society, for a government department or office of peace and for a peace academy. The dream was realized in March 2009 at a Global Stakeholder Design Summit, held at Case Western Reserve University in Cleveland, Ohio, where over 170 representatives of civil society, business, and government gave birth to the National Peace Academy. A full chronology of the origins of the National Peace Academy, a statement of the historical context of and motivation for its current founding, a description of the stakeholder design process, and a list of its founders, can be downloaded here. You can also access a full array of NPA’s historical and founding documents here.